Buying furniture is an investment, and there can be a lot of hidden costs in new furniture. Outside of of home appliances, furniture can be the most expensive addition to your home. Some people don’t realize that your dream sofa can go from $1,000 to $2,000 very quickly. Before you rush out to the furniture stores, you should understand why there are so many hidden costs. Knowing just how furniture gets marked up can really help you save a bundle. Learn how to protect your home investments with these great tips. Ask about delivery fees up front. Delivery fees are not included in the initial price tag. They can also be what turns you away from the furniture stores. If you have a way to pick the furniture up yourself, this may be a better option than having the store deliver bulky or heavy pieces. You’ll also want to address what the delivery policies are, as some stores have restrictions. You might not be able to get your furniture delivered on a weekend or convenient time without paying an extra fee. This can add up, especially if you find your furniture has to be dismantled in order to get it in your house. 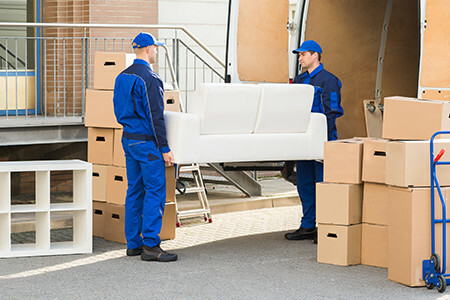 Disassembling fees are often charged when furniture is too big to fit through the front door. Furniture stores will disassemble your furniture and put it back together for you, but they will charge you for it! If you live in a second story apartment or high rise condo, you may have to have your furniture lifted in via a window. Furniture stores charge for this, as well. These extra charges can really drive the cost up. Before you leave the furniture store, make sure you know what those fees are. Take measurements of the furniture and check your doorway before you make your purchases. Protection plans cover your furniture just like insurance. Furniture protection plans vary by retailer. They cover repairs on the furniture if anything were to happen during the protection plan’s warranty. You can also opt to buy a fabric protection plan that covers accidental stains and spills, rips, tears or cuts. Some plans even cover burns and heat marks. Unfortunately, these plans can cost as little as $100 or as high as 6% of the total cost of the furniture. This can really drive the cost up. Consignment furniture is gently used and will be a great addition to your decor without all the markups that can come with brand new pieces. You know the cost and what your are getting when you buy. Consider shopping consignment furniture stores for your home furnishings. Not only will you save big, you’ll spend less time and hassle finding something perfect for every room in the house. You can also get rid of the old to bring in the new by consigning your old furniture. Snap a photo, send it over, and sell your furniture—just like that.